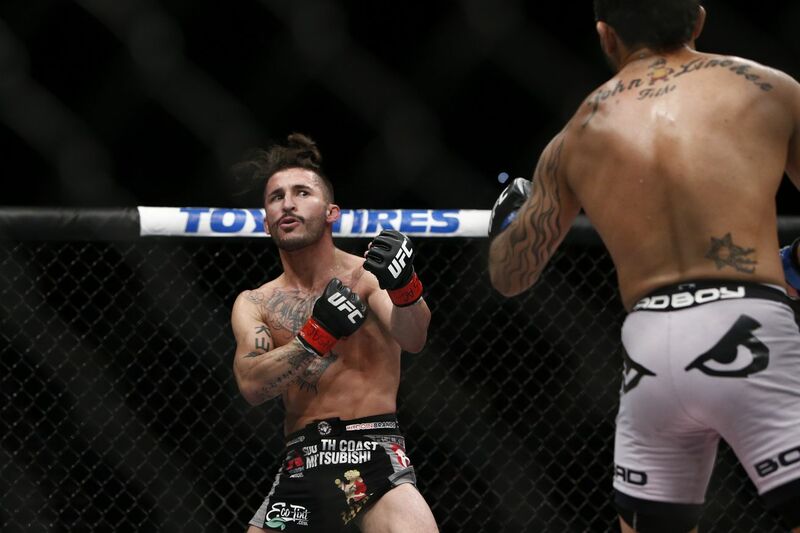 Ian McCall can pinpoint exactly where everything went downhill. It was his first fight in the UFC, an opening round bout of a four-man tournament that would crown the promotion’s first champion at 125 pounds. Standing across the cage from him? Future pound-for-pound great Demetrious Johnson. At the time, McCall and Johnson were on the same level, with Johnson dropping down from bantamweight and McCall widely being recognized as one of the best (if not the best) flyweights in the world before signing with the UFC. After almost 15 minutes, it was McCall who was threatening to end the fight. He hammered away at a facedown Johnson with the final seconds ticking away, “Mighty Mouse” staying just active enough to avoid the referee waving the fight off. Even without a TKO, McCall was initially ruled the winner by majority decision, only to be told that a scoring error meant it was actually a majority draw. The two had a rematch three months later, and Johnson would go on to win a unanimous decision and eventually become one of the sport’s most dominant champions. On Monday’s episode of The MMA Hour, McCall explained how he felt, that his life began to “spiral out of control” after the first fight with Johnson. Since that time, McCall has gone 3-3 and seen several bouts fall through due to maladies befalling him and his opponents at the 11th hour. He has not fought since Jan. 31, 2015. McCall turned 33 in July and he doesn’t see himself returning to action on his current contract ($16,000 to show, $16,000 to win, according to him), but he doesn’t blame the UFC for his problems. “I don’t want to say anything bad about the UFC,” McCall said. “The UFC has taken care of me since day one. They’ve never wronged me, they’ve never done anything bad. This is my own fault. This is my own doing. Picking this sport as a profession … overdosing on drugs when I was down and out. There’s a lot wrong with my brain, it’s not just the punching. And on top of that 15 years of fighting professionally isn’t good for you. He’s open about his experiences because he wants other people who are in similar situations to know that they’re not alone. McCall himself is currently doing everything he can to get his mind right. McCall confessed that for the first time in his life, he’s scared of what shape he’ll be in 10-20 years from now given that he’s been fighting professionally since 2002. He compared his situation to that of deceased professional wrestler Chris Benoit. The WWE star murdered his wife and son, and committed suicide back in 2007, and it was later theorized that his psychotic behavior was tied to the head trauma he endured in the ring as well as the use of performance enhancing drugs. That chilling thought has McCall wishing he had never started fighting in the first place, despite his passion for martial arts. Conor McGregor Photo via IG – The real Jr. and Sr….